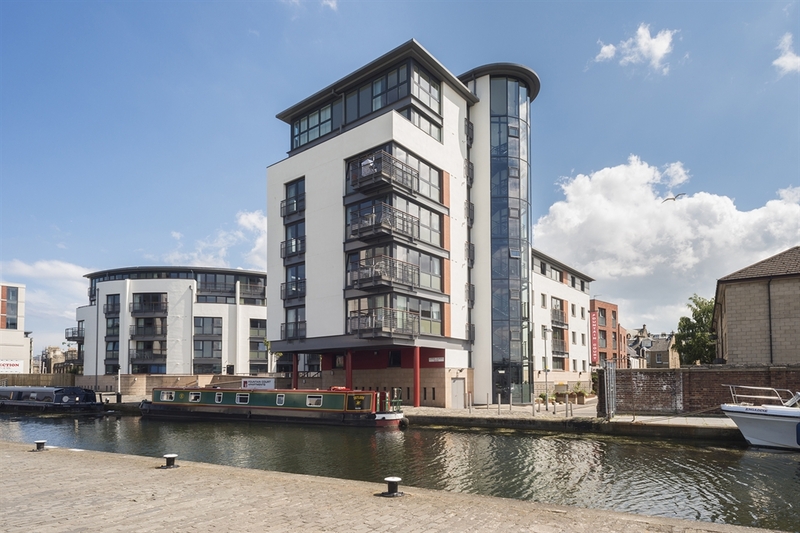 Picturesquely located next to the Union Canal in Edinburgh’s city centre, 4-star Fountain Court Apartments – EQ2 offers fully-serviced one, two and three bedroom apartments. 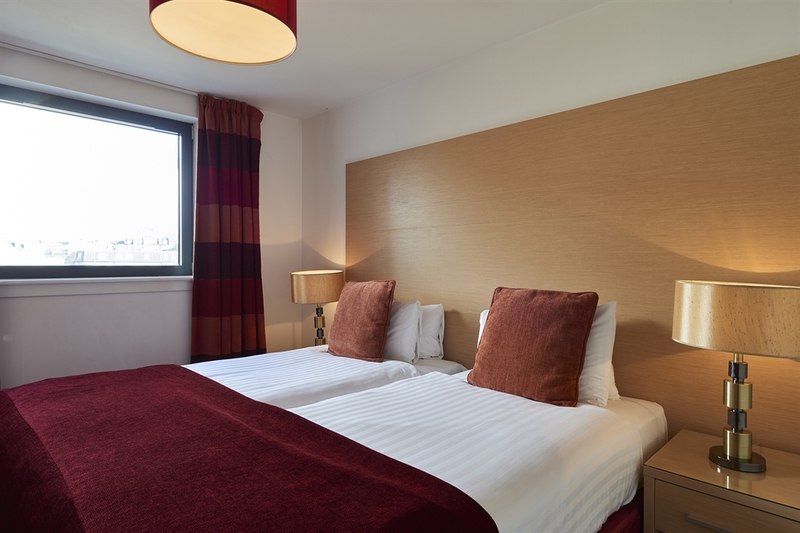 WiFi is complimentary and parking is available on-site at an extra charge. 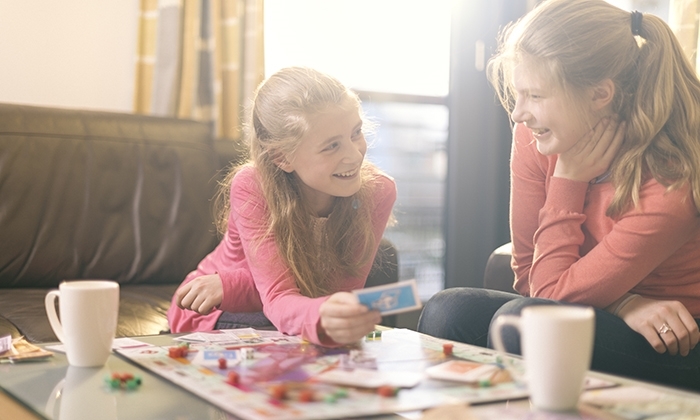 Why check into an anonymous hotel room when you can stay in the spacious surroundings of your very own city pad? 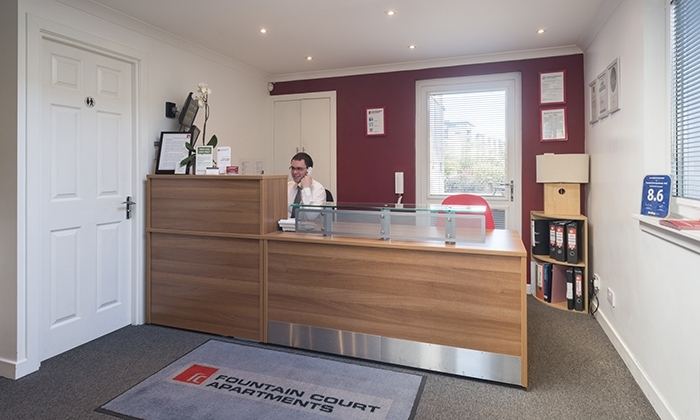 Fountain Court Apartments – EQ2 is a 4-star property located in the Western part of the city centre next to the Lochrin Basin – the beginning of the historic Union Canal – and 15 minutes’ walk away from main shopping street Princes Street, visitor attraction Edinburgh Castle and Edinburgh International Conference Centre EICC. 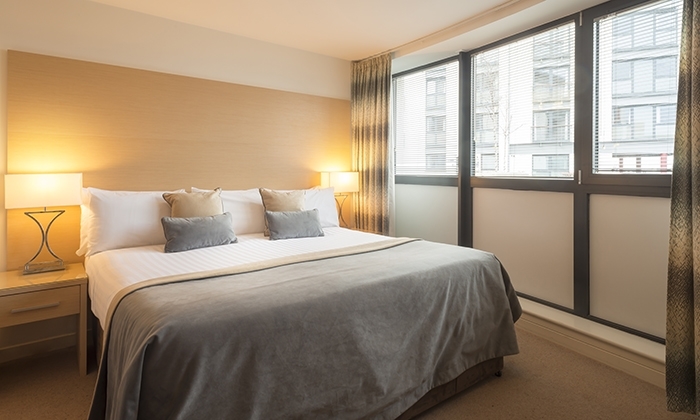 Available nightly, weekly or monthly, EQ2 offers guests a choice of one, two and three bedroom apartments. 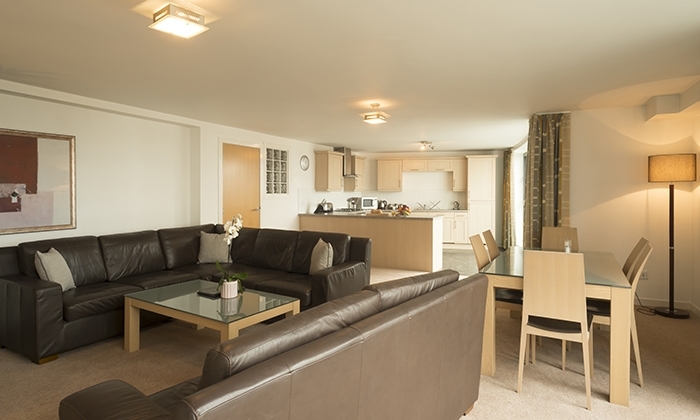 Apartments can accommodate 2, 4 or 6 adults with spacious lounges, contemporary bathrooms and modern kitchens. 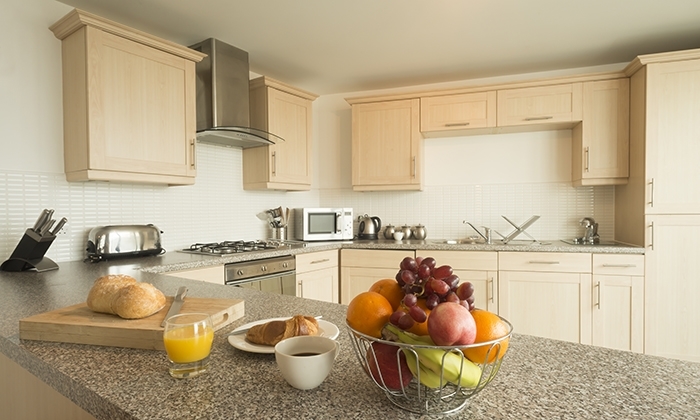 Kitchens have been equipped with fridge freezers, dishwashers, irons and ironing boards, washing/dryer machines as well as cooking equipment to allow for all kinds of culinary endeavours. 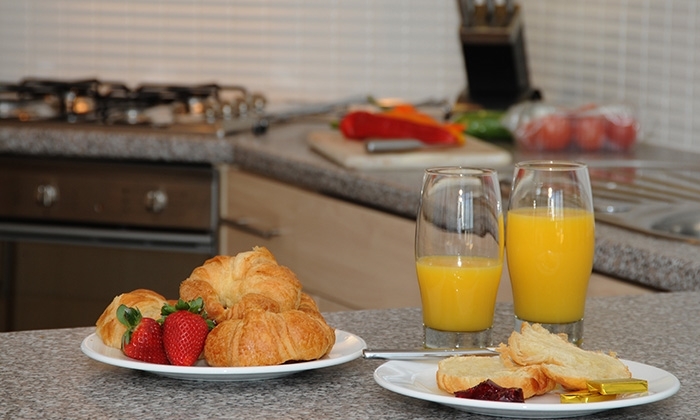 Breakfast is not included in the nightly rate but may be purchased in advance. Please see our website for details and costs. In addition, there are many great cafes and restaurants nearby which offer exclusive discounts to our guests. 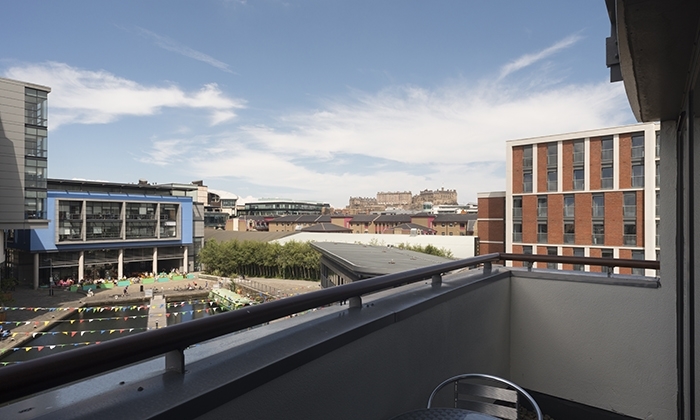 Furthermore, some apartments benefit from their own private balcony and an excellent view of the Union Canal and Edinburgh Castle. 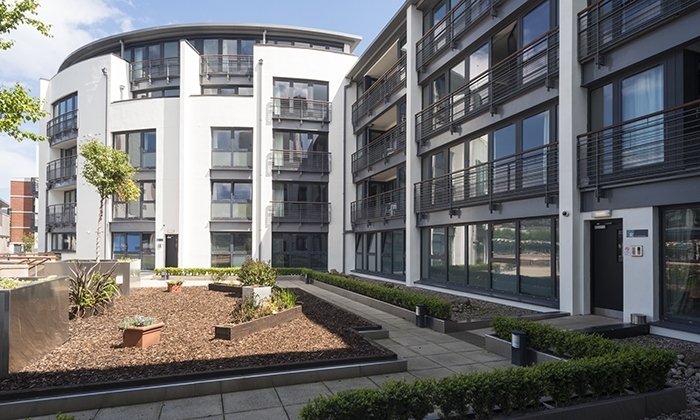 Each apartment has lift access and equipped with complimentary WiFi internet access, satellite and Freeview TV and toiletries. 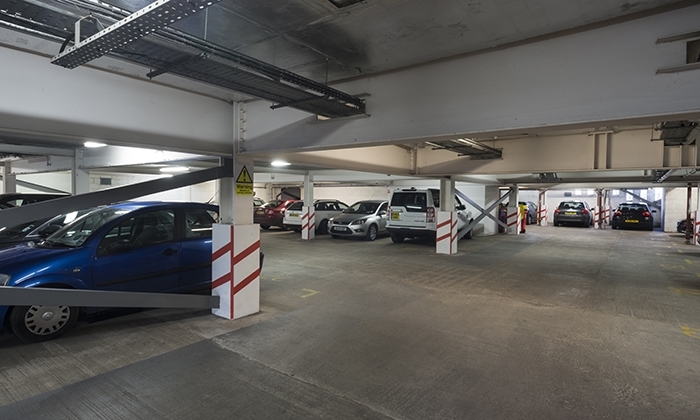 Secure underground parking is available at an extra charge of £12 per night on a first come, first served basis. 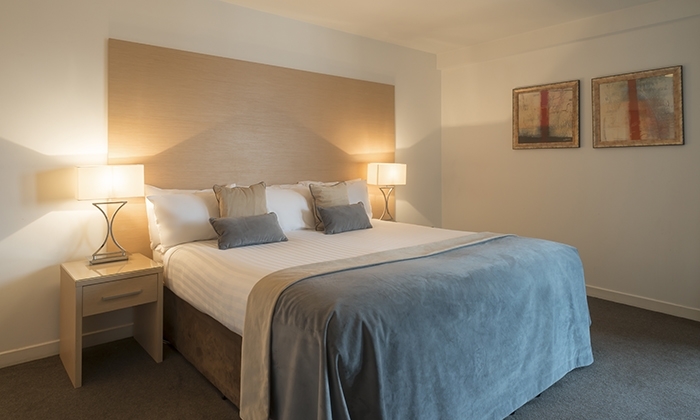 The apartments are serviced daily and the on-site reception is open from 8am until 10pm (until 5pm on Sundays) to cater for our guests’ every need. For assistance out of these hours, a 24-hour night porter is available at our nearby Grove property (121 Grove Street, Edinburgh, EH3 8AA). Please note: For check-in at all properties, guests are required to provide photographic ID which matches the credit card used for payment. This credit card shall also be pre-authorised for £100-£200 and used against any additional charges such as phone calls and damages. Check-in is from 3pm and check-out is at 10.30am. Luggage may be stored at reception outwith these times.